Yesterday the Miss Supranational 2015 contestants walked in a glamorous event first in their national costume and then in casual dresses. At the end of the event, some of the girls were felicitated. It is to be noted that Miss Venezuela did not make it on time for rehearsals and hence could not participate in the event. Let us have a look at the first set of Miss Supranational 2015 Special Awards. Miss Indonesia Noni Gresya won the coveted Best in national costume award. This is the second year in continuity when Indonesia has walked away with this prize. 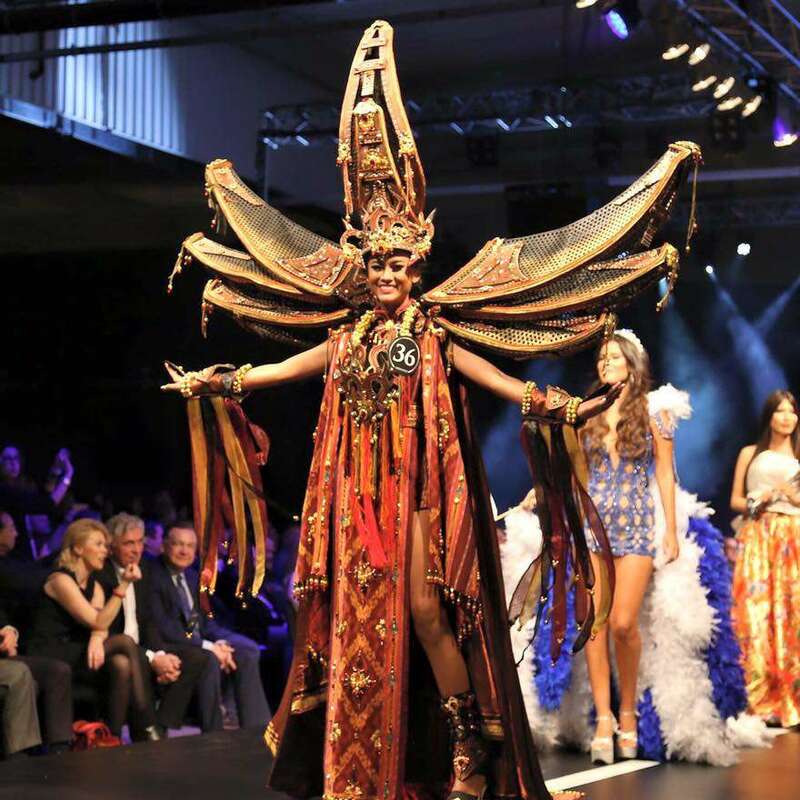 The costume is called “Mystical Toraja” by Dynand Fariz and Jember Fashion Carnival Team. This costume is inspired by the holy land “Tana Toraja” in South Sulawesi, one of Indonesia’s oldest cultural treasures. The people of this land perform spiritual sacrifices for continuity of life and ancestral traditions. The traditional house of Toraja called Tongkonan symbolises the essence of their belief in their ancestors. Collaborations of weaving, beads and gems add beauty to this costume. Other Miss Supranational 2015 special awards winners – Miss Mexico won the title of Miss Fashion city. It is considered to be the third most coveted title of the evening. The second most coveted title, Miss Moto Show, went to Miss Estonia. The most coveted title of the evening went to Miss Spain. She won the Miss Warsaw Expo title. Miss Supranational 2015 special awards throw a light on the actual favorites of the contest. Miss Mexico and Miss Spain were definitely in the Top 20 of most of the pageant fans, but now they are among Top favorites. In fact, Miss Mexico’s pictures from this event are garnering a lot of positive attention among pageant fans. Don’t be surprised if you find her at the top of the hot-picks of different sites that will circulate on the internet in the coming days. Who knows, may be she can actually win the pageant on 4th December 2015? !